Already posted this in Photos, but since this section is viewable to the general public, I'm including a few photos here. 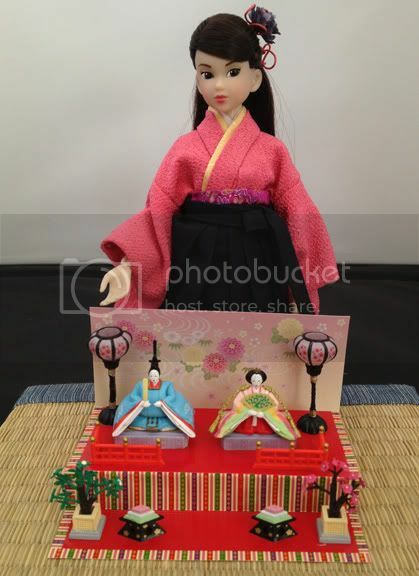 March 3rd is Girls' Day in Japan, a day to celebrate little girls and an excuse to dress them up in kimonos. 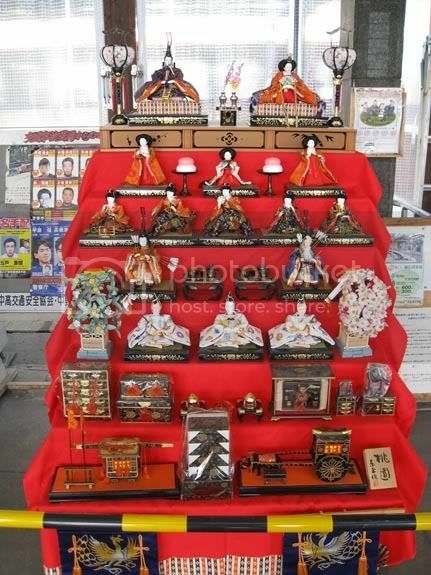 It's famous for the Hinamatsuri, the festival of dolls. 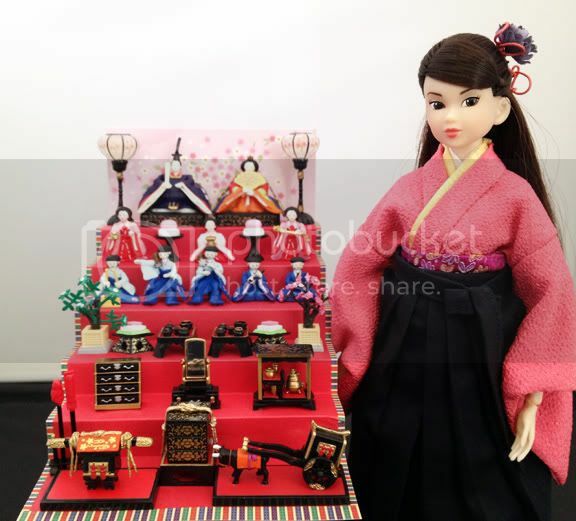 The topmost dolls represent the Emperor and Empress, and the lower tiers showcase various Imperial courtiers and musicians, along with festive food and Imperial household goods. The doll sets come in different sizes - the full sets are huge and impressive. Here's Graduation Momoko showing a Re-ment version of a fairly large set. Smaller sets are easier to display and I would guess cost a lot less. Boys' Day (called Children's Day) is May 5th, and features different toys and dolls. Great little dioramas. The real one is amazing!!! I completely missed Girl's Day. I have the big set that I bought just for the occassion and still haven't set it all up. Ugh. Yeah, I thought the real one was cool, and to find it in a train station was even cooler. I missed Girl's Day, too. Luckily GR's photos inspired me to dig out the big set and put it together. Apparently you're not supposed to leave them out too long or it's bad luck for getting girls married off or something(?? ), but oh well, mine are still sitting out.